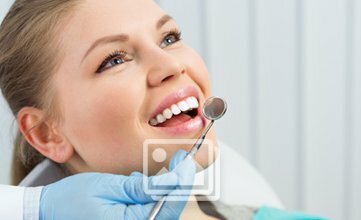 Mercury free dentistry has evolved to a great extent since last few decades due to the increased awareness in this field in various parts of the world. The revolution favoring mercury free dentistry has improved to a great extent in the present times. Many of the dentists are opting for only non-mercury restorations after more and more number of patients are realizing the effects of mercury on the body after a couple of years of the restoration is done. Mercury has many side effects on the health of the human beings. Therefore, it is important to take care of the health of the patients and choosing the products which have no side effects on the health of the patients. Mercury present in the fillings or restorations has high toxin levels which puts the health of the patients in danger. Moreover, the patients will posing themselves into various health hazards after the silver amalgam and mercury mixture is placed in the cavity prepared on the teeth. Patients think that the silver is more in amalgam and therefore it is absolutely fine to get the cavities prepared to be restored with the amalgam. But the fact is that the restorations of amalgam consist of the mercury twice than that of the silver content. Mercury free dentistry has been emphasized a lot in the recent times. Therefore, various changes are been made in the field of restorative dentistry to ensure that the patients are not risked in any way with the restorative treatments. Mercury free dentistry is gradually taking places in several dental practices across the world. This has made it easier for the patients to choose the best restorative treatment options for themselves. The dentists can be consulted in the visiting appointments. The best part is that the patients can genuinely discuss with their dentists to ensure that they treated in the right way and with the right material.